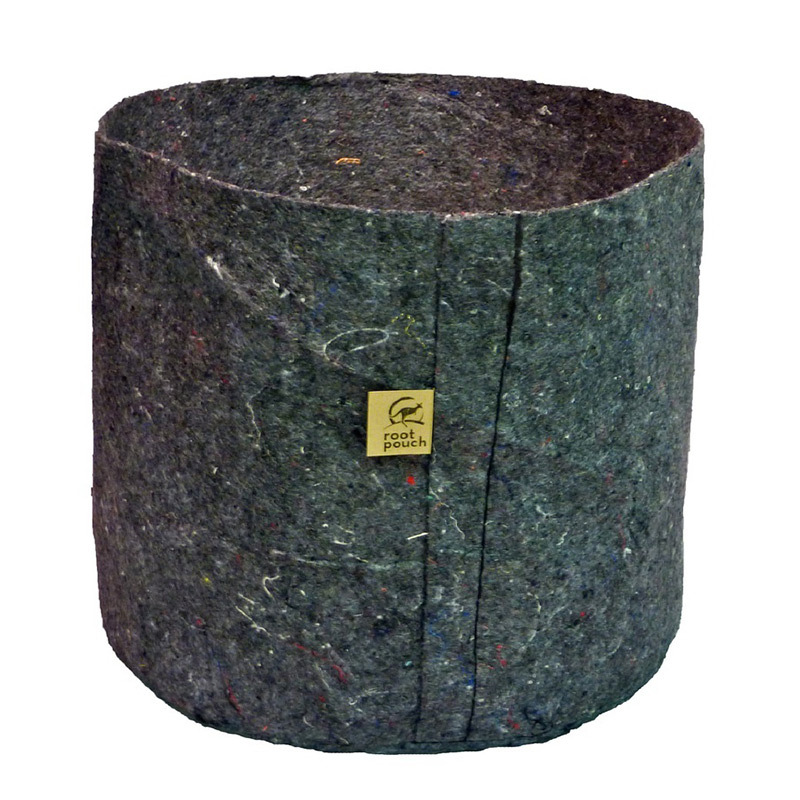 A geotextile pot, or a pot cloth made from recycled plastic bottles. Where to buy Root Pouch jars? Discover Root Pouch France in Culture Indoor leader in hydroponics , new trends of the garden, and urban farmers. Root Pouch is a small family business that turns plastic bottles into versatile materials such as Root Pouch textile pots. The Root Pouch tissue planting container keeps plants healthy by allowing excess water to flow and allowing the roots to breathe, grow. Root Pouch or root pocket. No drop of oil, oil or fossil fuel is used in the creation of Root Pouch pots. Our pots work with drip systems or hydroponic floodplates, they allow root pruning, optimal root aeration, higher yields and faster growth rates. 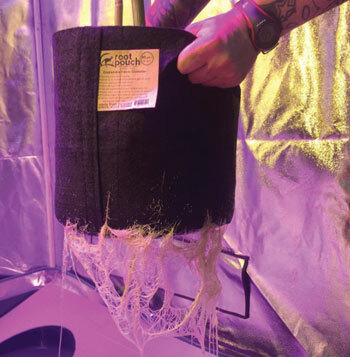 Hundreds of hydroponic growers rely on Root Pouch. With incredibly high yields, healthy and safe plants, and rapid maturity, hydroponic growers constantly rely on Root Pouch to promote plant growth and fruit sugar. A growing grower said: "The growth is impressive, I put a chili seed in one of the pots you sent me, and I've never seen a crop of chilli." 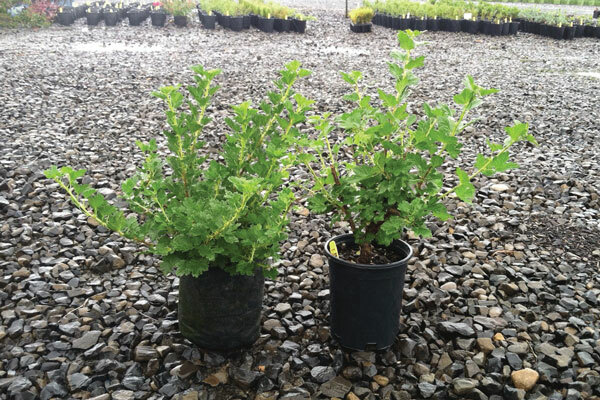 In the picture on the left a plant in a Root Pouch on the right the same plant in a traditional plastic pot. Let us help you maximize plant health. Our products can help increase your yields and push your hydroponic system to the highest level. The biggest growers use Root Pouch containers. Why are yields better? The tissue pots provide a healthy and ventilated growing environment. 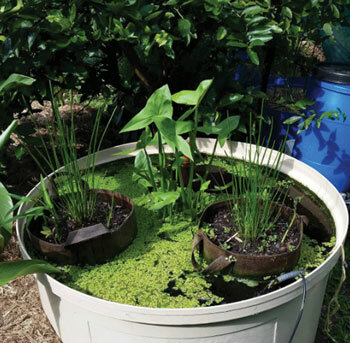 Fabric pots, unlike traditional pots black plastic, allow water and air to flow through its structure and nourishing the plant roots. It also does not allow the roots of plants to re-circulate once they meet the resistance of the pot wall. Instead, the tissue causes the plant to produce new fibrous roots rather than roots in circles that harm the health of plants. Photo beautiful sunflower roots in a Root Pouch 5 gallons with LED light under a tent in coves growth. Faster growth rates. Sunflowers grow very fast. Root Pouch customers are delighted: "We are proud to have Root Pouch fabric containers in our nursery production. Durable and made from natural materials and recycled, we consider it the best product of this type on the market. "Root Pouch is an innovative quality product that works as it claims. I believe that Root Pouch will someday become the standard as the way the plastic container has replaced the metal box. 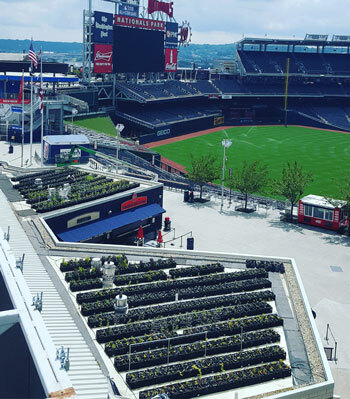 Pictured the roof garden of the Washington Nationals baseball stadium. The herbs and vegetables grown in Root Pouch are used by the sellers of the stadium. Growers / gardeners often choose to grow in containers when space for a traditional garden soil is limited or has undesirable traits like little sun or poor soil. Containers also provide an alternative food source for city dwellers in search of health and eco-friendliness who have access to a sunny balcony or the roof of an apartment. Anyway when space is limited and your garden needs to be "content", it is important to remember that if space is limited this does not mean that there are no options . 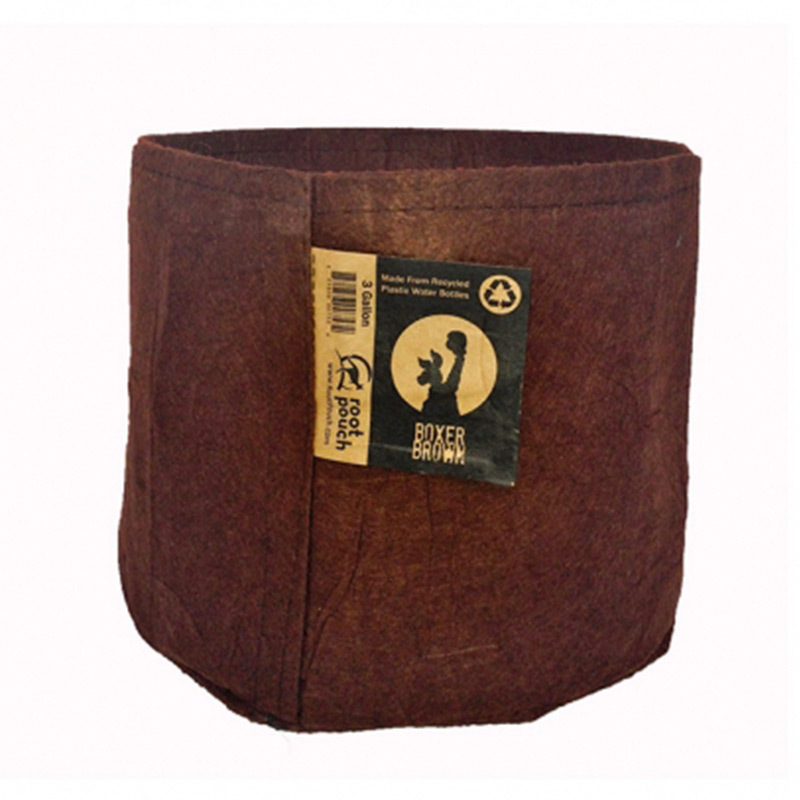 Root Pouch fabric containers are perfect for the urban grower / home. "Made entirely from recycled bottles of water and natural materials, these pots, planters and vertical malleable society Root Pouch offers an alternative to traditional hard plastic. The environmentally friendly company won a grand prix in Spain last fall, Which won the "Iberfloral Innovation Technology Award for the most advanced green category in the already green category." Root Pouch is the only company that uses both recycled plastic fibers and natural fibers such as jute, plant fibers or bamboo. These natural fibers blended into the net of the fabric will keep moist much more evenly around the pot. While allowing the tissue to breathe, it also helps to cool the plant in summer, as well as allowing the plant to stay warm in winter, similar to a cover surrounding the tender roots. Due to the natural fibers inside the structure, the fabric will have different tensile strengths depending on the density of the fabric. Root Pouch makes seven different fabric densities depending on the strength of the pot that is needed. Regardless of the density, the pots are guaranteed to always hold the weight that is needed for this container size. The type of point we use is called an industrial locking point. Our side seam seam is nicknamed in the garment industry as a Haute couture item. It will not fade if pulled. The industrial locking point gets its name because of its industrial use in outdoor products where overall wear is a concern. Yes, Root Pouch pots are washable - We recommend washing them with an eco-friendly detergent and letting them dry in the air. Snow and ice have no effect on Root Pouch fabrics or on traditional plastic containers. Keep in mind a plant in a Root Pouch fabric container will know how to withstand extreme cold much better than any other type of container. Just like a human, what would help a person in the cold sub-zero or wind? Were they wrapped in plastic or wrapped in the fabric? Plants and plant roots are like us. The fabric allows the heat released by the plants to be contained and keep the plant warmer in winter ... and cooler in summer. The pots of Root Pouch fabric are fixed in a waterproof manner (the pots touch) and exchange heat between them. All pots should be sealed (each pot touching each other) in a protected area, a clay house or a cold shed, ideal for overall winter protection to consolidate space in an enclosure. Plants should be placed in a pyramid. Each pot touching each other, next row on top between the plants or trunks. Exactly as a box garden grower could protect the winter if they protected the plants in plastic containers. Culture Indoor is the exclusive distributor of Root Pouch brand a biodegradable pot brand made in the USA. 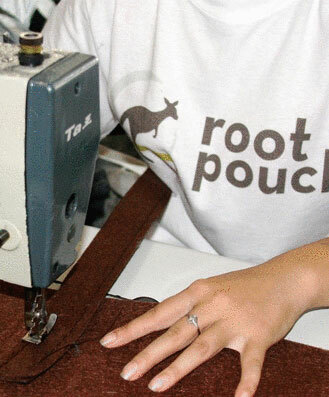 Root Pouch, manufactures its own fabrics and containers. We offer customized sizes, colors and labeled products. Our fabrics are all BPA-free and UV-resistant. They are manufactured in a safe and clean environment with our partners in Asia. Root Pouch allows the plant to develop a perfect dense and fibrous root system. The Chamber of Agriculture in Germany is carrying out an on-going test comparing three types of containers (Root Pouch in fabric, traditional plastic and Air Pots.) The test will continue for an additional 6 months. Fall 2016). The trees are tested in different containers for 12 months. The tests are carried out by Dr. Andreas Wrede, specialist in horticulture. Two families. One in the United States and another in Asia. P artners and friends with a common goal; Produce the finest and most scientifically advanced culture containers in urban gardening.